The hardest thing when travelling is to find the right souvenir, right? Whether going to Paris, Berlin or New York, the souvenir shops are stuffed with the same crap nobody wants nor needs. I rarely see things I like to bring home even when you cant have enough aprons. I’ve got news for you, because here comes something new and original: a cobblestone from Paris! Crazy idea? Not at all. It’s not any cobblestone, it’s a cobblestone with history. Those we are talking about come from Place du Trocadéro where the Universal Declaration of Human Rights was adopted in 1948. It’s the place just opposite the Eiffel Tower and right around the Human Rights Plaza. David purchased them from the City Hall and can certificate their origin. As he is an editor, he joined the Universal Declaration of Human Rights. 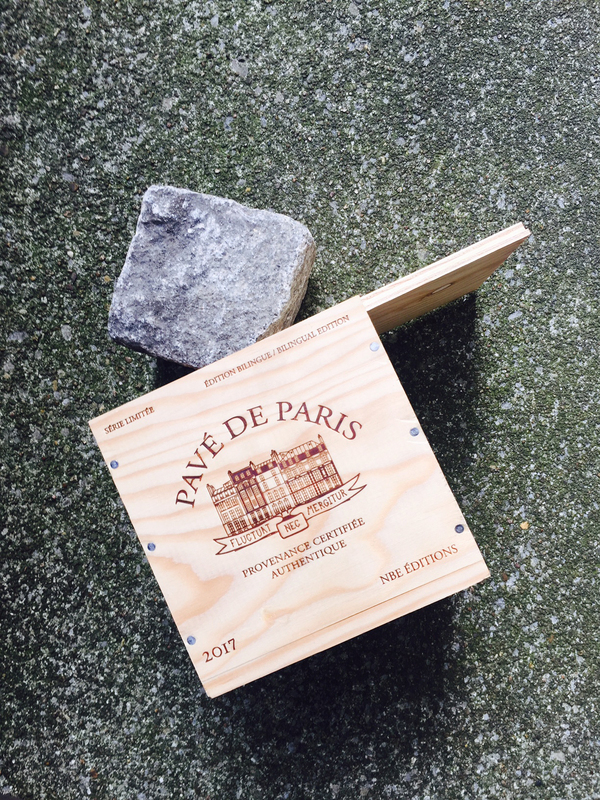 Both, stone and book, are nicely packed in a wooden box that reminds Francophiles in general and wine lovers in particular of the boxes better Bordeaux bottles are shipped. You can get this original present for 50 Euros and it is, of course, a limited edition. You now might object that this is definitely the wrong concept for Paris tourists who in general don’t want to travel with heavy luggage. No problem. David hat worked it out: You can order your souvenir and get it shipped in France for 15 Euros. International shipping costs 40 Euros.